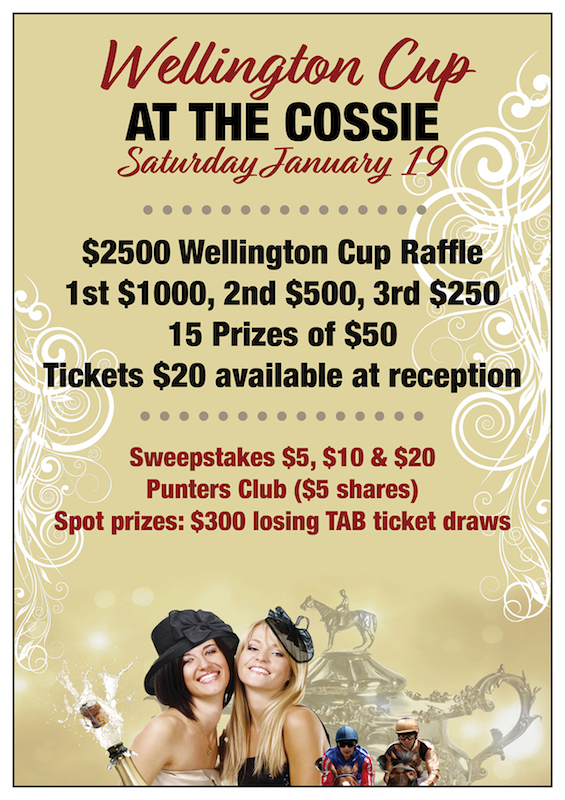 $2500 Wellington Cup Raffle (1st $1000, 2nd $500, 3rd $250) plus 15 prizes of $50. Tickets $20 available from reception. Sweepstakes $5, $10 & $20, Punters Club $5 shares and spot prizes: $300 losing TAB ticket draws.